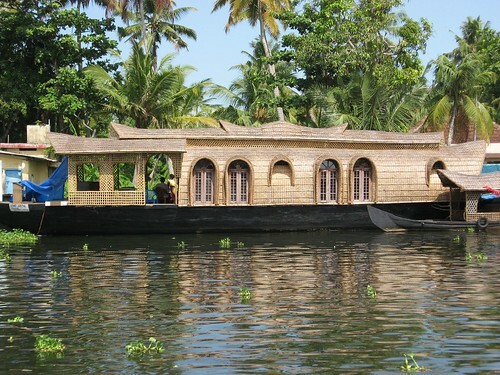 These beautiful House Boats in Kerala have the unique feature that not a single nail is used in the making of these boats. In local language these are called - Kettuvallam, meaning a boat made by tying together pieces of wood. Jack wood planks are joined together with coir rope and then coated with black resin made from boiled cashew nut shells. The materials that go into the making are all local and Eco friendly bamboo poles, coconut fibre ropes, bamboo mats, coir carpets etc. Size of boats varies from 20-30 metres and some are even double deckers. Kerala known as God's Own Country is situated on the lush and tropical Malabar Coast and is one of the most popular tourist destinations in India. It has lot of backwater water ways and these boats were earlier the main mode of transport of grains and commodities. 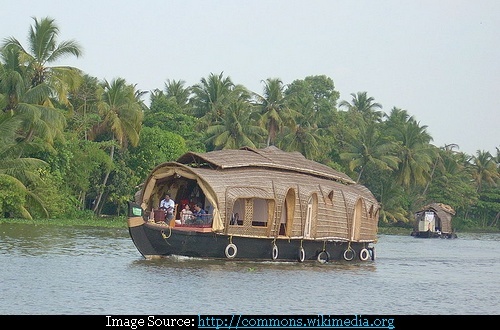 Erstwhile royals of Kerala also had fleet of such boats for their leisure. Nowadays these boats are used for the tourists and gives them enchanting views of the Kerala's rural life along the backwaters. 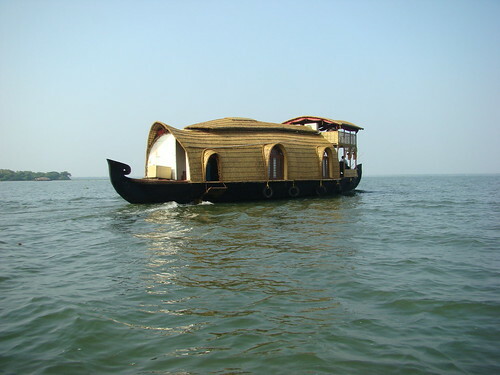 Main areas where these boats now ply are the backwaters of Alleppey (aka as Venice of The East) and Cochin (Kochi).